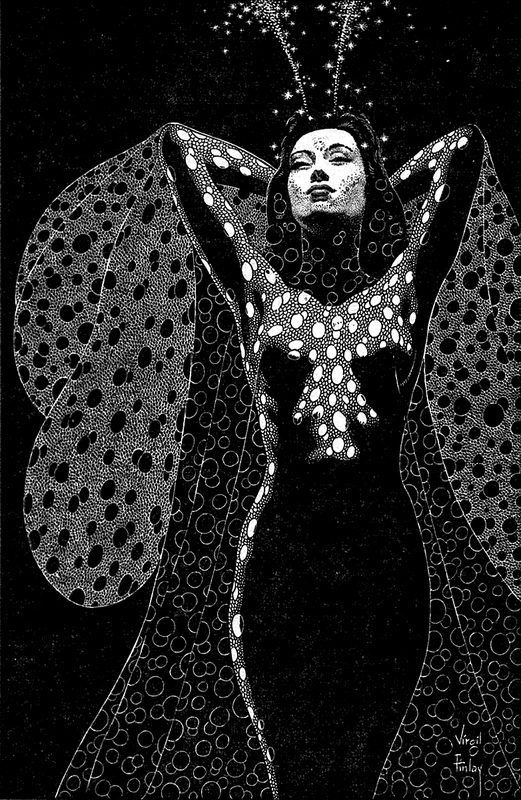 Virgil Finlay has been called “part of the pulp magazine history … one of the foremost contributors of original and imaginative art work for the most memorable science fiction and fantasy publications of our time.” ( Charles M. Collins, Castle of Frankenstein Magazine) Finlay specialized in detailed pen-and-ink drawings accomplished with abundant stippling, cross-hatching, and scratchboard techniques. Finlay created more than 2600 works of graphic art in his 35-year career. 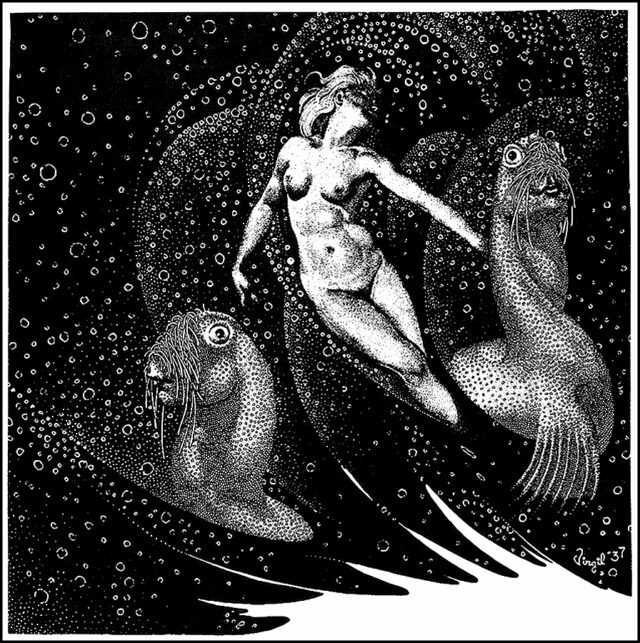 Finlay served in the US Army during World War II, and saw extensive combat in the South West Pacific theater, notably on Okinawa; he also created posters and illustrations for the Morale Services during his three years of military service. 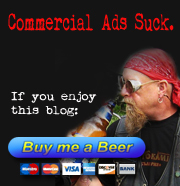 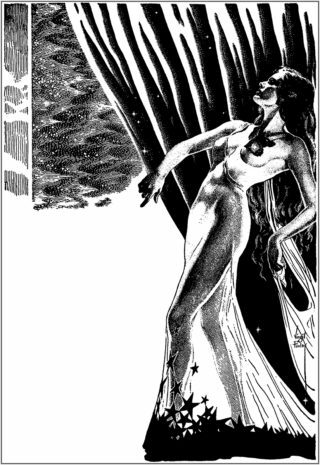 He resumed his artistic career after demobilization, doing a considerable amount of work for science fiction magazines and books. 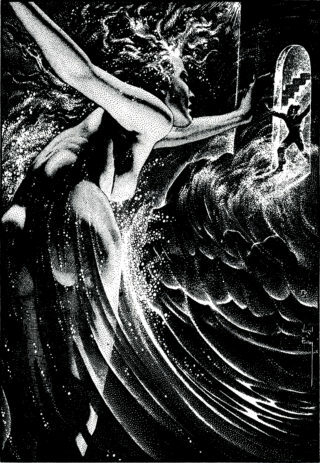 As the pulp magazine market narrowed through the 1950s, Finlay turned to astrology magazines as a new venue for his art. 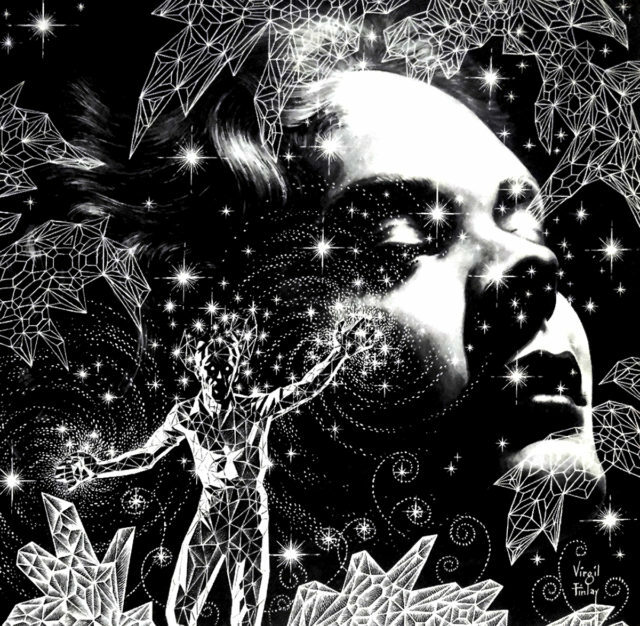 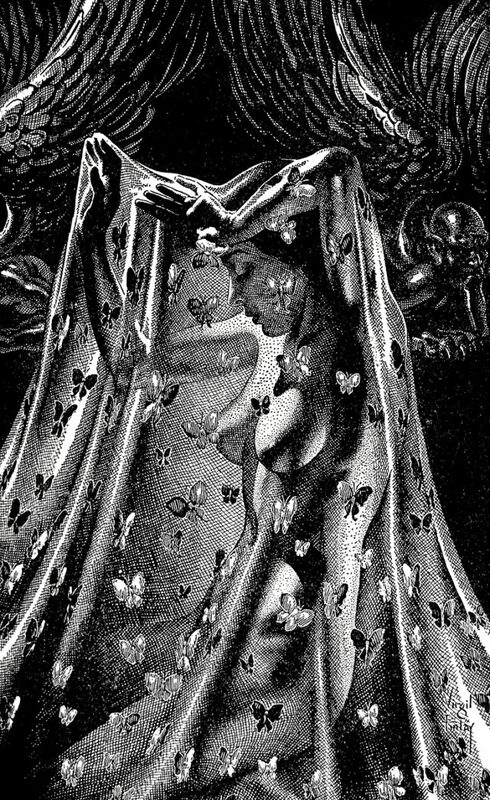 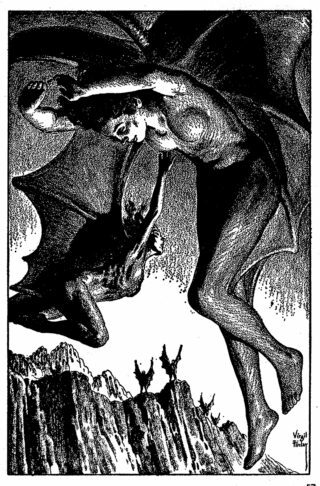 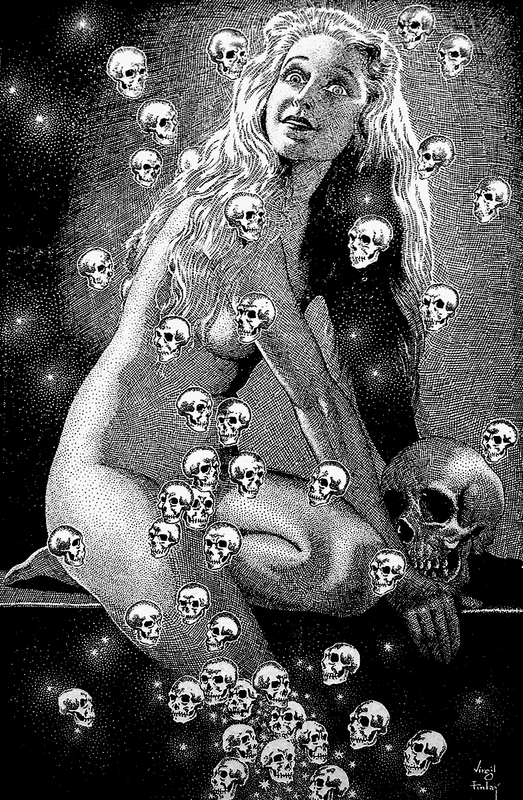 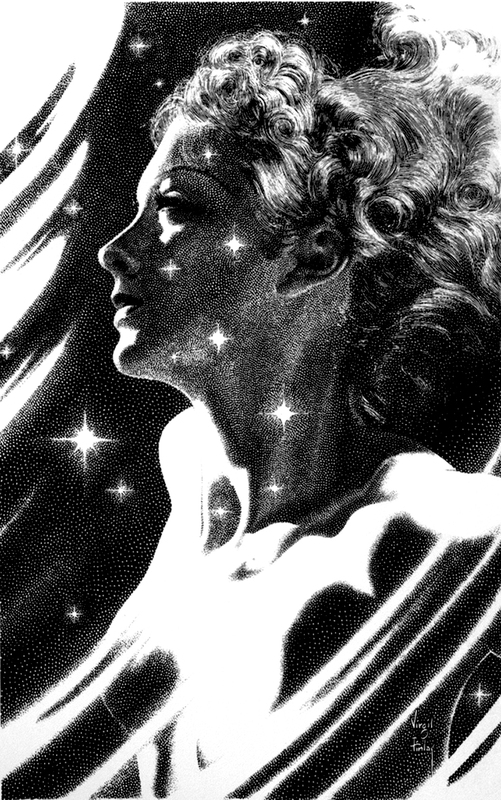 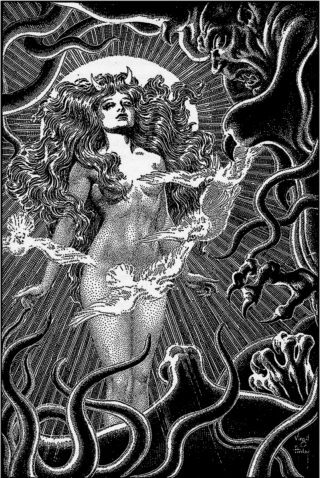 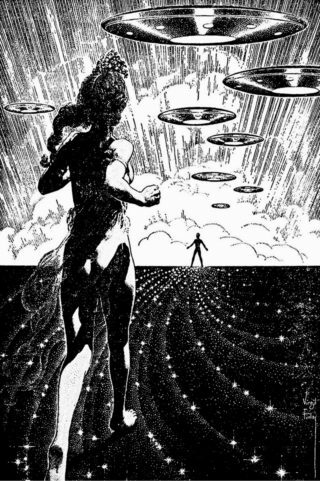 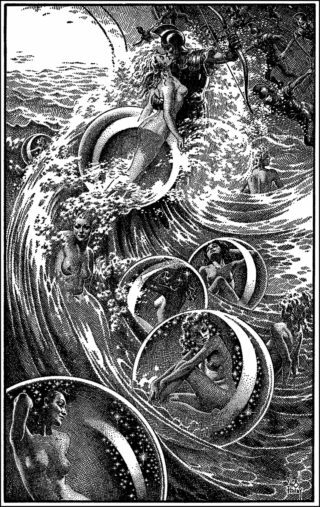 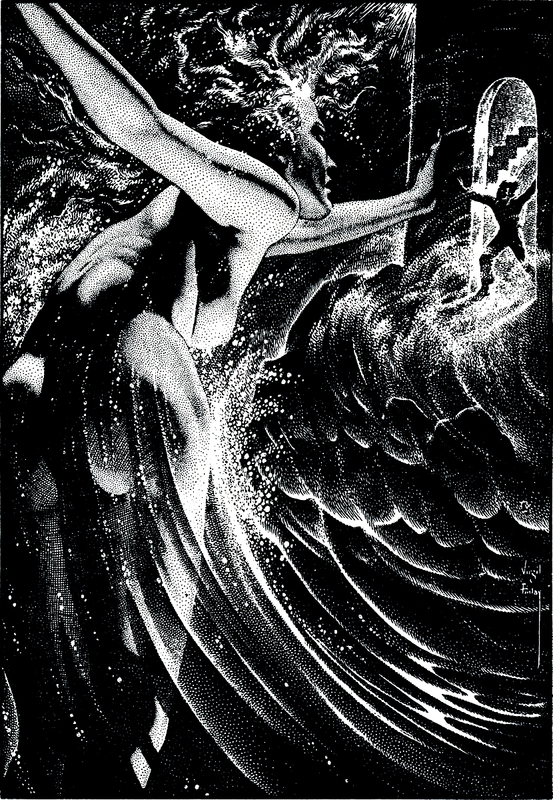 Virgil Finlay died of cancer early in 1971, aged 56. He just missed a resurgence in interest in his artwork from the early 1970s onward; both Donald M. Grant and Gerry de la Ree have published series of collections of Finlay artwork since the artist’s death. The later books published by Underwood-Miller contain illustrations from the Gerry de la Ree editions, as well as additional material. 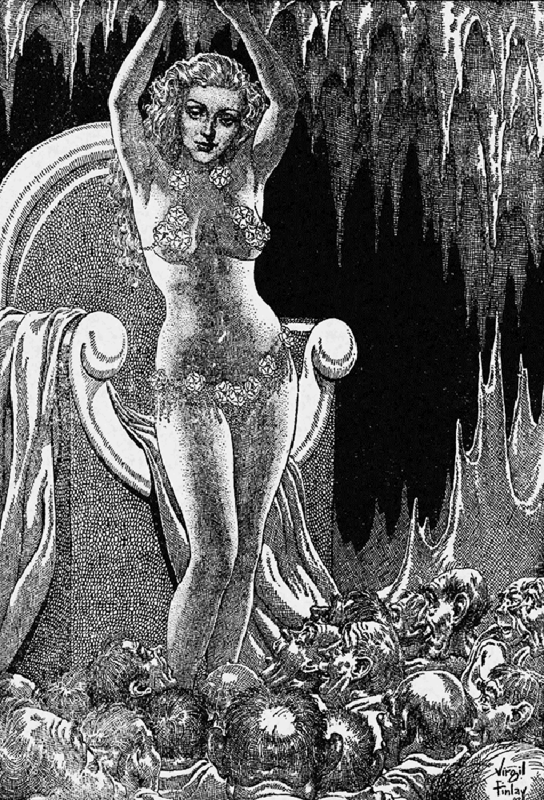 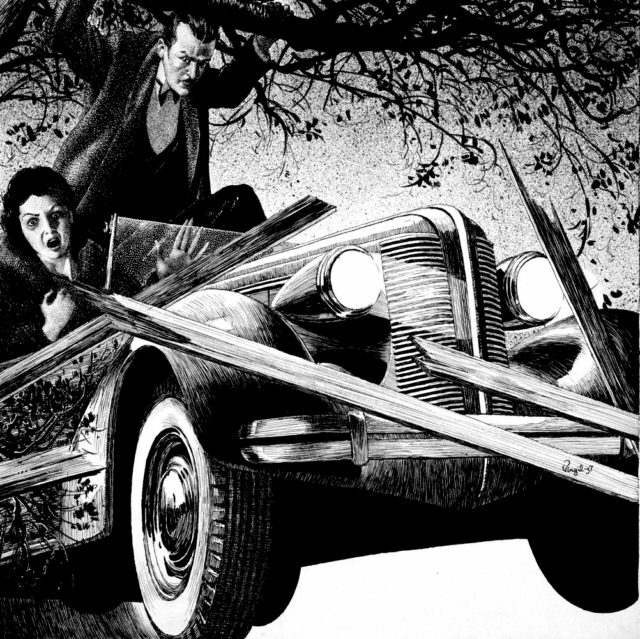 A slightly later generation of fantasy fans were introduced to Finlay’s art by reprints of his earlier work in the horror film fan magazine Castle of Frankenstein alongside the fine writing that gave significance to that magazine.